One on One photography class tailored to your needs. Take your photos from Snapshot to Masterpiece! How does Personal Photo Coaching work? A one on one session will focus on your needs as a photographer. You may want to familiarise yourself fully with your camera’s potential, improve on your existing style, learn how to use editing software and get your photos print ready, create a portfolio. Suitable for beginners to advanced photographers using any camera (DSLR, smartphone point and shoot or film). Feel free to contact me for a no obligation chat on how I can help you to become a better photographer today. 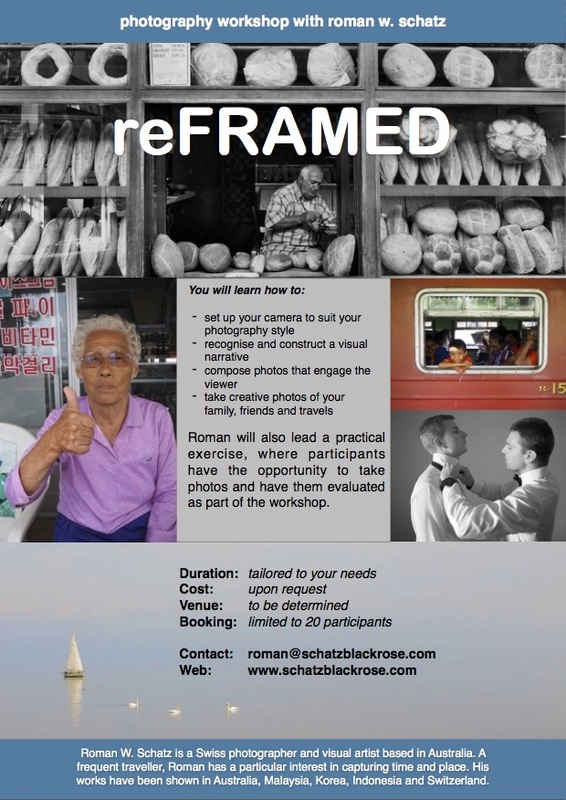 reFRAMED photography workshops for students and adults. Make photos that engage the viewer and compose creative images of your family, friends and travels. Workshop available as a school project or for photography enthusiasts. This workshop is available world-wide.